Discover a magically expanded world inside LEGO® Fantastic Beasts™ Newt’s Case of Magical Creatures. Help Newt, Jacob, Tina and Queenie care for the creatures, then use the ladder to climb back out, fold up the case and set off on your next adventure! 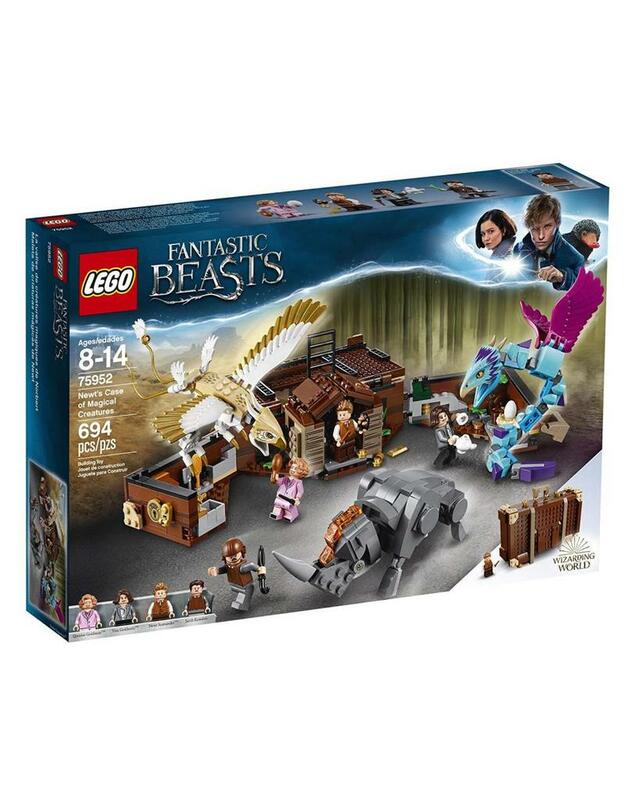 Includes 4 minifigures as well as buildable Erumpent, Occamy and Thunderbird creatures, plus Niffler and Bowtruckle figures.